The Star Alliance Lounge in the Tom Bradley International Terminal at LAX is an architectural masterpiece that also has a decent selection of food and drink. Always worth a visit, I count this as my favorite business class lounge at Los Angeles International Airport. The Star Alliance Lounge at LAX is open daily from 9:15AM to 12:30AM, though hours will vary based upon seasonal schedule. To reach the lounge, proceed to the center of the Antonio Villaraigosa Pavilion inside the Bradley Terminal (TBIT) [this is where all the shops are]. Take the escalator up to the second floor and then walk around the bar to another escalator bank and proceed up one more floor. You’ll find the lounge to your right. Elevators are also available if you are traveling with a lot of bags. A separate lounge is available for first class passengers (adjacent to this business lounge) which is not part of this review, but a limited a la carte menu is the only distinguishing feature. Unlike United Clubs, which prohibit United MileagePlus Star Gold members from lounge access on domestic itineraries, even if you are a United Gold member traveling from LAX to SFO in economy, you are entitled access to this lounge: you just have to walk to it. Tunnels connect the United terminals (7 &8) with TBIT via Terminals 4,5,6. Just follow the signs. The lounge does get crowded in the evening and late at night, but I have never had any trouble finding a seat. There are seats areas throughout the lounge including a beautiful indoor terrace area overlooking the terminal below. A television room is also present with easy chairs if you want to rest. There are no sleeping rooms, though you could take a nap on the couches on the outdoor terrace. My favorite part of the lounge is a beautiful outdoor terrace that never seems to get crowded. If you have trouble finding a seat inside, head outside. With great tarmac views and comfortable chairs and couches, this is the place to be. At night, the terrace is warmed by heat lamps and fire pits. It always surprises me when I often find myself alone on the terrace — I figure many people probably do not know it is there. A wide selection of food and drink is available — more than enough for a substantial meal. Don’t forget the noodle bar around the corner from the beverage station. The menu seems to rotate once a month. While the type of food doesn’t change (there are always salads, cheese, hot chicken…) the flavors vary. Alcoholic and non-alcoholic beverages are complimentary. The coffee is so-so — the oneworld lounge offers barista-made coffee which is significantly better. Eight showers are available in the back of the lounge, next to the door to the terrace. I’ve never had to wait for a shower. This is not only a nice lounge, but a great option for United Star Alliance Gold flyers who do not have access to United Clubs. Allow some extra time on your next visit to LAX for this lounge. What is your favorite lounge at LAX? I spent a couple of hours at this lounge a couple years ago and I concur with you that it is one of the best business lounges. I am glad you wrote this review because although I spent time there, I didn’t realize it had an outdoor terrace. Excellent write-up. I really enjoy this lounge as well and always arrive early to enjoy the terrace. I tried the first class lounge last fall and although the food was very good, I definitely prefer the ambience of the business lounge. I am a United Club member (due to my Chase United Club Visa) and I was denied entry when I flew from that terminal, but I was flying on a One World carrier. They said that I would have access only if I was flying on a Star Alliance carrier. They gave me a nice tour of the lounge though, and it is definitely among the better ones worldwide. I’ll check on that. My understanding was you would have had access. Turns out they were correct. Access to non-United Star Alliance Gold lounges is only when traveling on a Star Alliance carrier with a United or Air Canada Club card. I’m *Gold (through SQ). I’m flying NZ next week, and plan on crediting the flight towards UA (where I have no status). Will I be admitted to the lounge with my KF Gold card, even though my (no status) UA MP number is in my Air New Zealand reservation? You will have access, you will just have to present your card in addition to your boarding pass. Oh wow looks like the main buffet has been improved from what it was the last time I went through the lounge in 2015. I’ll be going through the Star Alliance Lounge in May and its good to see things are being improved and changed. Will I as United Club member have access although I will be traveling on UA flight out of T7? Yes, though it is quite a hike! I’m transiting LAX from ANA biz via Tokyo, connecting on Alaska. I have no status on United or any Star Alliance partner. Even thought I can get back to TBIT, I’m assuming I’ll be unable to access this lounge, right? Yes, if make the trip over there you will have access. Flying SQ First Class in a few weeks, how much time would recommend spending in the lounge prior to departure? SQ7 leaves LAX at 14:05. Want to maximize our time there but also don’t want to get too bored. I booked for a premium economy ticket, and no membership, on ANA, do I have access to the lounge? Unfortunately, you will not have access to the lounge. Just do what I do, book a fully refundable business ticket and cancel it once inside. Works like a charm, and you get access to the priority security which is great especially at TBIT. Not correct. ANA gives lounge access to Premium Economy flyers. It says so on their web site, and I have taken advantage of it twice at TBIT, having either no or minimal Star Alliance status. Matthew, we asked the check in desk and they said our guests flying premium would be admitted to the lounge. When we went up to the lounge, the staff was rude and adamant that they were unable to enter. The lounge duty manager Malika was even ruder than her staff. Her solution was to speak to the most probably new rep who checked us in and gave us ill infor.ation. Not a great way to begin our trip. Why be rude to us? Total bummer! Laura, I agree…there is never any reason to be rude. Sorry you had that experience. flying into LAX from Houston on UA, I am KF gold. Can I access this lounge on arrival? Good review. I may try to check this out next time I am there on a domestic itinerary. I assume you can use the LAX connector system to walk to TBIT and back to T7 without going through security in either direction? I have a United Mileage Plus Credit card with Chase. Recently I received a One-Time Pass to access United Club. I am flying out of TBIT on Lufthansa (Star Alliance partner) next week. Do you think I will be allowed to access the Star Alliance Lounge in TBIT instead of the United Club in T7? No, unfortunately the pass is only valid in the United Club. I don’t know that it is really worthwhile, but the club at LAX is one of the nicest and you can walk on the secure side (past security) all the way from Terminal 7 where the lounge is to TBIT where you flight departs from. I am flying from Chicago to LAX in a couple of weeks and have a 4 hour stopover before heading to New Zealand on Air NZ flight. I am Silver status with Air NZ and have Air NZ lounge passes available to use. I am traveling economy this time so I wanted to check that I could enter the lounge under these conditions. I am also travelling with my partner who is a United Airlines member and our baby. how long does it take to walk over from terminal 7 to TBIT? We arrive from IAH and are heading to SIN, 3 hours in transit and would kill for a shower before the long flight, alas the UA club has none…Just want to make sure we have time to walk there and back—thanks! Is there is a dedicated kids room in the lounge? Arriving in Lax with Swiss business class and connecting with United domestic business class. Do I get access? No access without Star Gold status. Yes, you will have access. Enjoy! Going to this lounge for the first time tonight before departing to LAS on a late flight on UA – appreciate the pics of the place and as usual, a thorough and informative review to get details as to what to expect – thanks Matthew! Hi Matthew, sorry to bother you. We will fly from LAX to ZRH with Swiss business class. Do I have access to the lounge? Yes you will. Enjoy the lounge! Hi Matthew, husband & I will be flying UA domestic, LAX to EWR, in business class using our miles. Will be be able to use the lounge? Hi Matthew- My husband & I will be flying UA domestic, LAX to EWR, business class using our miles. Will we have access to the lounge? Also, will we have access to any lounges with showers at EWR when we arrive in Newark?? I am a member of the Koru Club flying LAX to Auckland. Am I able to use this lounge given it is Star Alliance? No, not to my knowledge. Please let me know if you are granted entrance with your Koru Club membership. Hi Matthew- My wife & I will be flying UA domestic, LAX to EWR, business class using our miles. Will we have access to the lounge? Also, will we have access to any lounges with showers at EWR when we arrive in Newark?? Hi Alex, you’ll have access to the lounge, but the lounges no longer have showers. Enjoy your trip. Thank you Matthew. We have a red eye flight and would like to get to LAX early and unwind before the flight (and maybe catch a nap). 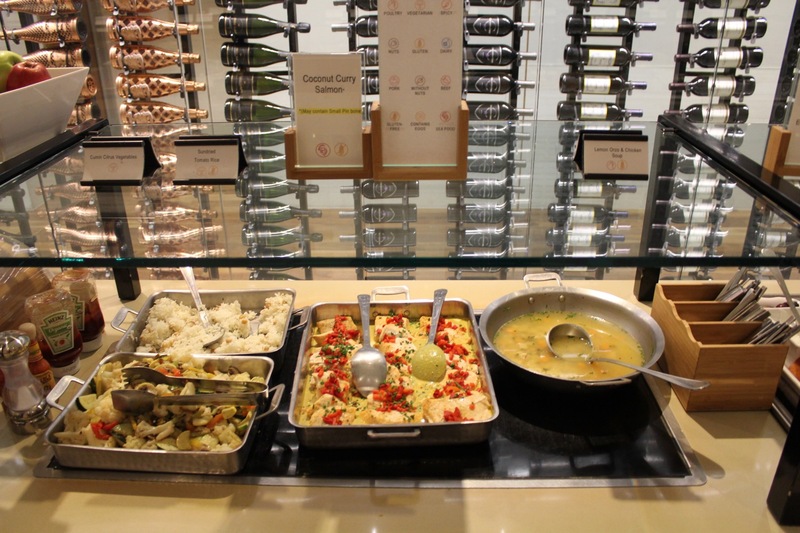 Which would you recommend the United Club lounge in Terminal 7 or the Star Alliance lounge in TBIT? Travelling on Air Canada from Vancouver B.C. on Premium Economy thence Air New Zealand to Cook Islands on economy because Air New Zealand does not have Premium Economy on this flight. Do i have access to Star Alliance lounge or can i purchase a day pass?? I fly business class (p) on lufthansa to MUCand have no UA status nor status on any start alliance…. will I have access? You will have access. Enjoy! My wife and I are flying Air New Zealand from LAX to Auckland (business class). Will we have access to the lounge? You sure will! Enjoy your visit. We are flying from EZE to LAX 2/24/19 business class on Avianca. We have a 6.5hr layover at LAX. Lounge access?